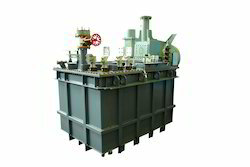 Transformers following test will be carried out to assertian health of the transformers. - 2 KV test for core and clamp. - Ratio and vector group test. Our engineered-to-order solutions can help either to restore your equipment to its original condition by replacing damaged parts or to adapt it to new technology by implementing design modifications and installing modern components. 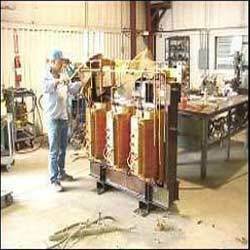 Our organization is engaged in offering Transformer Upgrading Service to our clients. Our staff of engineers can assist you in evaluating your transformer problems and recommending solutions as per the issue. With the help of advanced techniques, we can easily upgrade small as well as industrial transformer with ease. We provide our clients Transformer Repairs and Upgrading Services. Our experienced proffessional assist in evaluating transformer problems and recommending solutions. We redesign transformer to meet the changing requirements for increased capacity, voltage or short circuit duty improvements. Costly and time-consuming upgrades can prove a nightmare. Customers do not upgrade frequently resulting in a large install base across multiple versions. This leads to high maintenance costs. Owing to our rich experience and in-depth knowledge of the industry, we are providing high quality Transformer Upgrading Services to our esteem clients. Our staff of engineers can assist our clients in evaluating their transformer problems and recommending solutions as per the issue.